In the sea of failures that BiH politicians have made in the post-election period, one of the biggest is maybe the failure to appoint a BiH delegation to the Parliamentary Assembly of Council of Europe (PACE). In practice, this means that at least for this year BiH will not be represented in this important institution. Earlier, Tiny Kox (Netherlands, UEL) and Serhiy Sobolev (Ukraine, EPP/CD), co-supervisors for monitoring Bosnia and Herzegovina by the PACE, expressed concern to the presidents of both houses of the Parliamentary Assembly of BiH that the legal deadline, until midnight on April 6, would be missed. According to PACE rules, the parliament has six months after the election date to deliver the names of the new delegation. Bosnia and Herzegovina, as one of the 47 member states of the Council of Europe, has the right to send a delegation of ten members to the Assembly, but this never happened. The co-supervisors wrote that they were “very aware of the political context in Bosnia and Herzegovina” and the fact that the negotiations on the formation of the Council of Ministers at the state level could influence the appointment of the BiH delegation. However, they added, “the absence of a BiH parliamentary delegation in the Assembly is a very bad signal of your country’s ability to honor its obligations in the area of ​​democracy, the rule of law and human rights”. A former SNSD representative in the BiH House of Representatives, Milica Marković, says Bosnia and Herzegovina, in this way, excluded itself from participating in the PACE. “This failure to appoint a delegation is a result of the failure to appoint the new Council of Ministers, which is why neither the House of Representatives nor the House of Peoples are in session”, said Marković, who used to be a member of BiH parliamentary delegations to PACE. She elaborates that appointment of the delegation, which comprises ten members – five permanent and five replacements – is the competence of the Parliamentary Assembly. “Given that the houses do not hold sessions, no delegation has been appointed and this means that BiH excluded itself from the Parliamentary Assembly of the Council of Europe’s activities in 2019”, Marković warned. According to her, the delegation is appointed for a four-year term but delegation members receive accreditations for every calendar year usually in January. 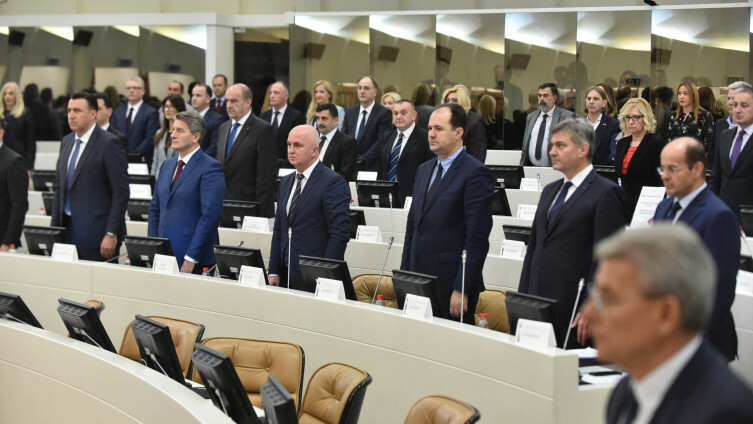 The House of Representatives and the House of Peoples of the BiH Parliamentary Assembly have held their inaugural sessions but their permanent and joint committees have not been formed, as the Council of Ministers was not appointed.